If you are a frequent traveler or simply enjoy traveling from time to time and you haven’t visited travel-planning website Trippy yet, you’re missing out! 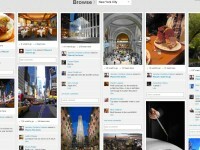 Trippy is laid out similarly to Pinterest but its focus is on travel and trip-planning. Instead of “pinning” recipes or fashions, users post photos of their different experiences while on vacations. The site is integrated with Facebook and the idea is that when you are planning your trip itinerary, you can use the website to get recommendations and ideas from your friends instead of reading arbitrary reviews from strangers. I won’t go into much detail about the site itself because we have covered it in the past, but yesterday Trippy rolled out a few updates that will greatly enhance the site’s usability. Because of Trippy’s integration with Facebook, it is only natural that its biggest new feature is a Facebook Timeline App. The app will allow your posts from Trippy to be displayed on Facebook. Another new feature is users can now “follow” other users’ boards. This can also be displayed in the Timeline App and is another way to entice your friends to join Trippy as well as encourage them to follow various users. Another new update to the site is an enhanced mapping feature that is really quite useful. The photos you post will have corresponding plots on your map so it will be easier to see if you have a strong desire to visit one specific place or if you enjoyed any one place more than another. Trippy is well on its way to even more updates and its founders clearly have a larger vision for it as well. Ultimately, the website strives to be a space where users can actually book flights and make dinner reservations directly from the page. One specific update I am hoping for soon is more integration with Twitter. As I deleted my personal Facebook account earlier this year and many others do not have Facebook accounts, Trippy makes it difficult for us to use the page, as you can only log in using Facebook. I hope the site adapts a login style similar to Pinterest’s, where you can log in using Facebook, Twitter, or a separate login just for the site. While the main focus of Trippy is getting recommendations from personal friends instead of strangers, I think people using the site without linking it to Facebook would still use it to browse and get to know people with similar interests and in time would trust their recommendations and ideas as they would their friends.